Jamie Shannon fell from a cliff in Orkney. A sheriff has ruled no one was at fault over the death of a popular tour guide who plunged from a cliff while trying to take a photograph of a puffin for holidaymakers. 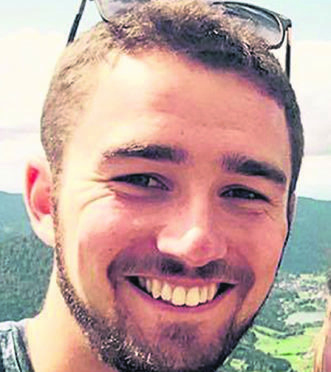 Jamie Shannon, 23, was showing 14 tourists a beauty spot on Orkney when he fell 160ft from the Yesnaby Cliffs as the group he was leading looked on. Witnesses said Mr Shannon, from Dunblane, hit the rocks at the bottom. His body was then swept out to sea by the waves. A fatal accident inquiry at Kirkwall Sheriff Court was told by an Australian tourist who spotted a puffin on a rock stack that the group were keen to get a photo. Mr Shannon had gone to take one when he lost his footing. Sheriff Andrew Berry has now ruled that his death on June 26 last year was a tragic accident and there were no ‘reasonable precautions’ which could have been taken to prevent it. In a written determination, he said: “While I have stated that it is not the purpose of an inquiry to establish fault, whether criminal, civil or otherwise, it is clear that there was no fault contributing in any way to the death nor is there any blame to be apportioned. “The deceased was clearly popular with his employers. This popularity was shared by those who were part of the group sightseeing together on 26 June 2017. Additionally, on the trip the deceased was in good spirits and enjoying his work very much indeed. “The tragic events of 26 June 2017 were entirely an accident. Mr Shannon had been working with Edinburgh-based company Haggis Adventures. A tourist said: “He went out a bit further than the rest of us to take a photo. I heard a noise and turned to see what happened.